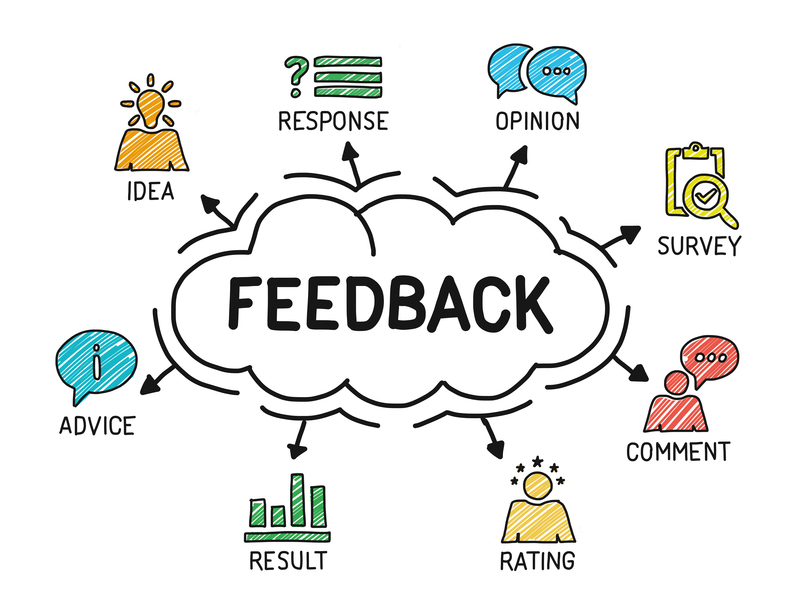 Annoyingly, most customers don’t leave feedback after using your services or buying a product. I previously touched on the importance of reviews, in my post, “7 Benefits of Online Reviews”. Since they’re so important, it’s crucial you find ways of encouraging your customers to share their experiences, without coming across irritatingly desperate. It might seem obvious, but don’t be afraid to be direct. Have you thought of literally just asking your customers to write a review? You’ll probably be surprised by their response – a lot of customers will feel honoured for you to value their opinion. You can ask for reviews however you think would work best. But don’t be afraid to ask! What’s the worst that could happen? They say no. It shouldn’t take your customers longer than few minutes to complete a review. Most of us don’t like form filling, it’s boring. A few simple ‘yes or no’ questions, a star rating and an additional comments section should give you more than enough information! 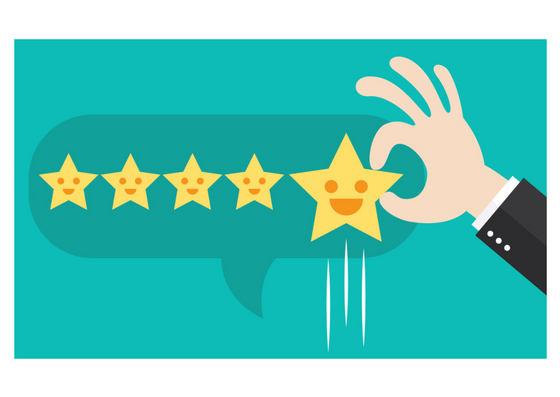 Even a star rating can tell you enough about your customer’s experiences for you to know how to adapt your services. Put your past reviews where people can see them. How are consumers supposed to read or see comments if they don’t even know they can? You need to think about the placement, they need to blend in with the rest of your content on your website, if that’s where you choose to place your reviews. If you’d prefer having reviews on Google or your social media platforms, provide links so customers can easily be directed to it. Amazon’s a great example. As you can see from the below image, their reviews are in an obvious place for consumers. Ask customers to leave their opinion in a confirmation email, obviously, they haven’t had chance to test your product yet, so you can only ask them to rate your customer experience. But customer service is almost as important as the product! It’d be beneficial for customers to rate your customer service to build your reputation. After a few days of your customer receiving your product, then would be a good time to ask them to rate your product. Negative reviews are inevitable, and whilst you might think they’re damaging your brand; if you delete them it’s probably obvious. In reality, people expect to see negative reviews, dependent on your service. For example, if you’re a restaurant, its natural your food won’t be to everybody’s taste. Negative feedback is constructive, it’s how you respond that’s important. I’ll be touching on this in a later blog post. So, pay attention and keep a look out! This isn’t necessary, and some may disagree, but offering an incentive doesn’t undermine your whole process. In my opinion, you’re only encourage people to share their opinions. Don’t go overboard, I probably wouldn’t reward every customer who shares their opinion, but perhaps a monthly prize draw would persuade enough customers to give some feedback. If you take the time to read reviews, you could recommend to consumers what other of your products or services they may be interested in. Again, think of Amazon, they’re constantly recommending to customers new products they should try based on their past. Tailor Amazon’s technique to your own business, perhaps send emails thanking for consumers for reviews and suggest what else they may like to try. Followers are Twitter, Facebook and Instagram are worth diddlysquat unless you make use of them. Put your Social Media community to good use and ask them to write a review. As I’ve already said, make it as easy as possible for them to do so, perhaps a link or asking them to write a review on your page. If you want feedback on something specific, again don’t be afraid to ask! Encouraging customers to share their opinion needs to be a key component in managing your brand’s reputation as a business.